AS Pest Control provide an efficient, affordable and professional rodent control service in Mansfield. Available 24/7 we offer a quick and reliable service to conveniently remove any rats or mice. You may see rats or mice, hear them, see damage caused by them or notice droppings or gnawing. Most rat problems are outside and usually caused by food sources, rats using an area for cover or a water source or possibly a combination of all 3. Rats must drink water daily unless the food source is extremely moist. On average rats eat one tenth of their body weight each day. Rats will explore locations freely but do have a fear of new objects. You may hear mice in the loft area, particularly at night when it is quiet. They will eat spiders, woodlice and other insects found in the roof space. Contact AS Pest Control and we can provide a free onsite rodent control Mansfield quotation. Landowners have a legal obligation to treat rats. They carry diseases and can start fires and cause other damage by chewing through cables, water pipes etc. They kill other wildlife and will breed and spread rapidly. If you see rats or mice it is helpful to keep a record of when they were seen. Ask neighbour's if they have rats or mice and leave any droppings or damage to allow the pest control technician to see them. To help discourage rats, stop feeding birds and stop putting food on compost heaps. Identifying the food source is important to help deal with the infestation. AS Pest Control provide Rodent Control in Mansfield starting from only £100. For a free on-site survey and quotation contact us today. Rat infestations are normally dealt with by using a cereal based poison bait containing and anticoagulant poison. This usually requires the rats to feed several times before dying. If they consume enough poison to give them a lethal dose on their first feed they will not suffer any ill effects until sometime after feeding. This ensures that they do not become suspicious and associate the bait with illness or death and a ‘complete kill’ takes place killing all the rats in the colony. It can take up to 7 days before the rats start feeding on the bait as they are suspicious of new objects. It is important to achieve a complete kill as they breed at such a rapid rate that any survivors soon replace the dead with their offspring. Poison baiting is the quickest way to deal with a mouse infestation. The correct type of bait needs to be placed in the correct areas to succeed. Mice are very territorial, if the bait is not in its territory it will not take the bait. Mice can be fussy feeders and more resistant to poisons than rats. Once treatment has been completed it is essential to locate any entry points and block them up otherwise the problem could repeat in the future. To prevent rats or mice returning the three areas that allow them to thrive need to be addressed. Food, water and cover need to not be available, remove bird feeders, do not put food on compost heaps and ensure rubbish is properly disposed of. Pest Problem in the Peaks. I contacted AS Pest control as I knew Andy previously and I have to say...... The service was very professional. I live in the Peak District and recently I had a problem with vermin, Andy came and advised at first several different solutions to dealing with the problem. Once decided on the best solution Andy got started, needless to say the problem has been resolved! I was very impressed how quick Andy was to respond and deliver a solution. I would like to thank AS Pest Control for their service and should I have a problem in the future I know who to call! Thoroughly recommend AS Pest Control. From initial contact to day of service I was confident that our issue would be resolved. Fully informative, reassuring, professional. Fast response and courteous follow up support. Extremely good value and excellent price. Excellent Service,removed the issue safely and quickly. AS Pest Control Solutions provided me with a first class service.Excellent Knowledge of Pest Control.Very professional,reliable and removed the pest issue very quickly.Price wise very good value for money.They are a local company too. Andy delivers a very professional and thorough service for all our pest needs. Andy explained all aspects of the service from the outset and has thoroughly delivered on what he had promised. I would highly recommend AS Pest control for any business and residential properties that need help with their pest control. Cannot rate Andrew enough. We called early hours in the morning as we were in a panic and unsure what to do. He gave my partner plenty of advice even though it was early hours and then came out to us that day. He talks you through everything he is going to do so you know what's what. Gives you advice and tips to help. And also came out a couple weeks later to check on everything and to give us further advice so we didn't get the pest back. Absolutely brilliant service and fantastic prices. Nothing was too much trouble. Thank you so much. 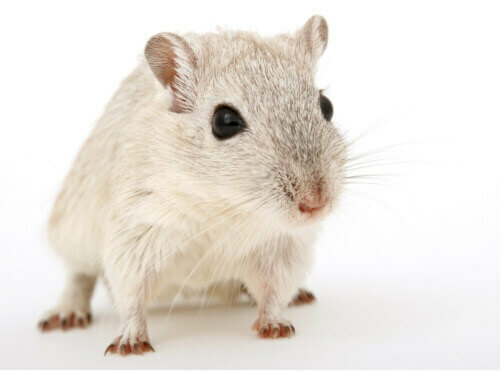 AS Pest Control provide a local, affordable rodent control solutions for residential and commercial customers in Mansfield, Nottingham, Derby, Chesterfield, Worksop and surrounding areas.